For some, a credit card statement can be quite confusing. Before giving up and throwing the statement in your pile with others, learn to understand what each section of your statement means and what individual titles refer to. Too many people simply look what their payments due are and pay it. Without caring to study the statement, frauds and incorrect information might go unseen. This can turn out to be very costly. If you struggle to make out what all the terminology on your credit card statement means, read on further to get the needed help that will turn you into a pro when it comes to reading a credit card statement. The credit limit indicated on your statement refers to the highest amount that you can spend on your card. This limit will be the same each month until you decide to increase or decrease it. This balance refers to the credit you still have available thus what you have left to spend before you reach your credit limit. Make sure that this amount adds up by deducting the closing balance from the credit limit. The closing balance is the total sum owed once your statement period ends. Under your account summary, a breakdown of your closing balance should be available to view. This amount indicates the total owed at the start of your statement period. The average statement period roughly lasts 30 days. When this period comes to an end, you usually have between 14 and 25 days before payments are due. This window period is dependent on the terms set out by the credit card issuer. Outstanding payments (at least minimum amount or full settlement) should be made in this period of time. This number gives you the total of all charges made to your card during the statement period. This can include purchases, transfers, etc. Payments refer to anything credited to your account during the statement period. Included in this amount is al payments made to your account during the statement period as well as during the last payment window. Refunds and store credits do not fall into this category. A full breakdown of all interest charged during your statement period should be available. They will indicate the exact rate that they will give. The above-mentioned terminology is what appears on all basic credit card statements. 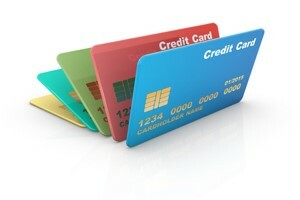 Each credit card provider might have their terms and charges that form part of their statements. If you still don’t understand your statements after gaining knowledge of the basic concepts, a good idea will be to get in contact with a representative from your credit card company for further explanations regarding it.